Committee modelling approach is skillful prediction in the domain of hydrological modelling that allows explicitly to derive predictive model outputs. In this approach, the different individual models are optimally combined. Generally if a single hydrological model or the model calibrated by the single aggregated objective function it is hard to capture all facets of a complex process and to present the best possible model outputs. This model could be either capable for high flows or for low flows or not for both cases hence more flexible modelling architectures are required. Here the possibilities is building several specialized models each of which is responsible for a particular sub-process (high flows or low flows), and combining them using dynamic weights – thus forming a committee model. In this study we compare two different types of committee models: (i) the combine model based on fuzzy memberships function (Kayastha et al. 2013, Fenicia et al. 2007) and (ii) the combine model based on weights that calculated from hydrological states (Oudin et al. 2006). Before combining the models the individual hydrological models are calibrated by Adaptive Cluster Covering Algorithm (Solomatine 1999) for high and low flows with (different) suitable objective functions. The committee model based on fuzzy memberships does not generate additional water in the system (preserves water balance), however there is no guarantee for this in case of committees based on hydrological states. The relative performances of the two different committee models and their characteristics are illustrated, with an application to HBV hydrological models in Bagmati catchment in Nepal. 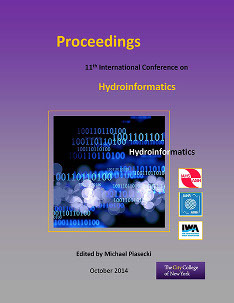 Kayastha, Nagendra and Solomatine, Dimitri P., "Committees Of Specialized Conceptual Hydrological Models: Comparative Study" (2014). CUNY Academic Works.